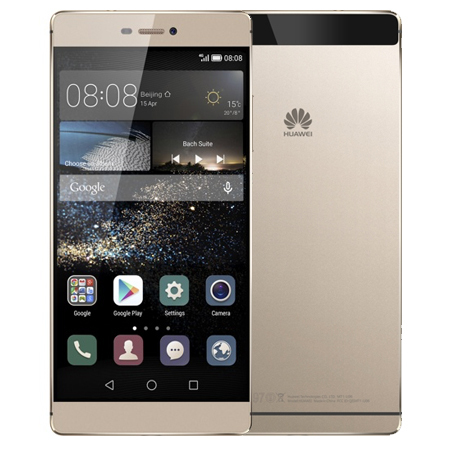 Available in Luxury Gold, the elegant Huawei P8 Premium is made of a metallic material giving the device a very modern and futuristic feel. At 6.4 mm thick this slim device weighs in at 144 grams. 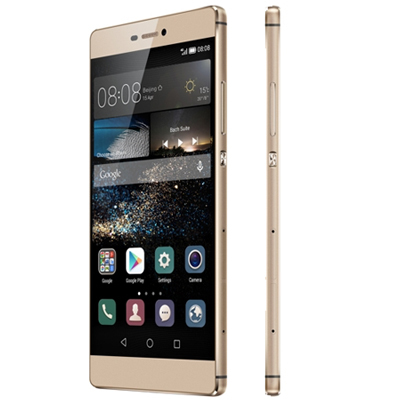 The Huawei P8 Premium Dual SIM comes with up to 64 GB of storage which can easily be expanded up to 128GB via SD card. Featuring the latest Huawei Hi-Silicon 935 technology, the device offers a superb graphical experience. With 3GB RAM and Android 5.0 Lollipop OS, the P8 Premium features Bluetooth 4.1, and support for Google Maps. The device comes with a Li-Po 2680mAh battery, Wi-Fi v802.11 and A-GPS. The Huawei P8 Premium has a large 5.2 inch FHD touchscreen with a resolution of 1920 x 1080 with a pixel density of 424ppi. Gorilla Glass 3 technology makes this a durable choice, whilst the 16 million colours ensure a vibrant experience. Allow your creative juices to flow with the 13 megapixel primary camera featuring the Painting with Light function to create stunning night time shots. Capture that magical moment from every angle with the help of Director mode to create your very own movie. Shoot the Perfect Selfie even in low light conditions with the 8 megapixel front facing camera and with Time Lapse you can capture images at differing time intervals.